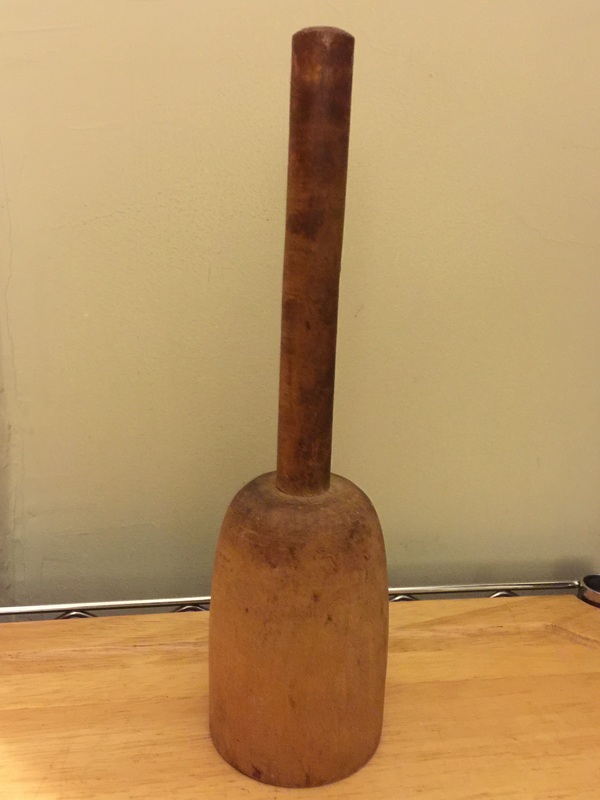 I found this primitive antique masher at my favorite junk store on my lunch hour. I had no idea what it was when I saw it, but I loved the smooth wood, the beautiful shape and the well-balanced heft of the tool. The price was right, so I bought it. Then I googled it and found out what it was. It is almost sculptural as it sits on my counter, and here is how I plan to use it: pounding toasted bread into crumbs; pulverizing potatoes; flattening clay; smoothing out tiny monoprints on my desktop printing plate; paper weight — the possibilities are endless. Truly, my handy new (old) masher/smasher/pounder is the best tool. Ever.